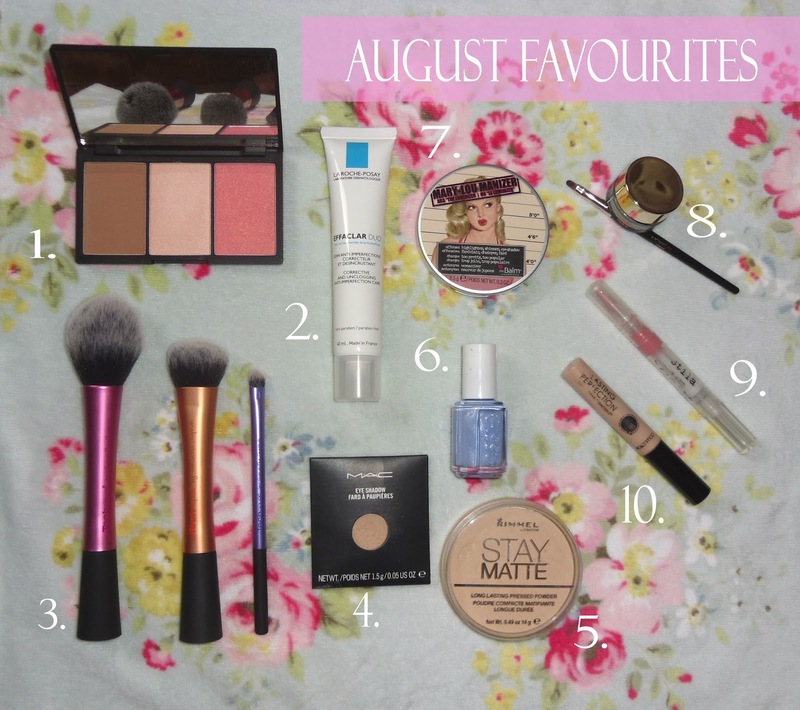 So here are some of my beauty products that I've reached for quite a lot this month. Boots or Superdrug - Blush Brush - £.9.99, Expert Face Brush £9.99 and The Eyeshadow Shading Brush £7.99. Usually retailed at £7.99 in Boots but I got this in a Glossybox beauty box. It's a lilac/sky blue shade kind of like blu tack. I got this in my Latest In Beauty beauty box, it's sooooo nice just a little bit sticky. 10. Collection Lasting Perfection Concealer, which I've recently come across and I love it! I wear it everyday. I got mine in the 2 light shade. My favourite product has to be the La Roche-Posay Effaclar Duo cream which I will do a review about next week. It's amazing! Have you been using any of these? What's been your favourites this month? I always wanted to try the sleek palette ! can't believe the mary-lou manizer was only 12 pounds i am desperate to try this haha! I'm off to buy the highlighter right now haha, £12 what a find! Loving the Feel Unique sale, such good little finds on there - great for fake tan too! Looking forward to your La Roche Posay review, I've not really heard much about the brand. Want the Sleek palette too, just for the highlighter because apparently it's amaze! I know I keep adding things to my basket on there and then stopping myself. There are so many things that I could buy. I haven't looked at the fake tan on there, good shout! I'll make sure it's up next week I like to try the products out for a week or two before giving an review with creams and things. Yeah I really love the sleek palette and it's so cheap! Amazing faves love! I also love the Mary Lou-manizer <3 Oh, i really want to try the real technique brushes. I put the Real Techniques blush brush in my favourites too, it's great. I'm glad you said that the La Roche-Posay Effaclar Duo product is good as I'm going ot buy it tomorrow. I am desperate to try the Mary-Lou Manizer! I love Essies Bikini So Teeny, it is such a lovely colour! Essies Bikini so Teeny is such a gorgeous colour, I've had it on my nails throughout summer! I also LOVE the real techniques brushes, they are amazing! That Essie nail color is one of my favorites for summer. Also, I keep hearing all these wonderful things about the Rimmel powder. Will definitely check that out soon. Loved this post! I don't think I could have survived summer without my collection concealer and the stay matte too!! OMG £5 for ricepaper!?! Serious bargain! Was one of those late night eBay steals :) I love it! i LOVE effaclar duo. its the best!